Description - Add a modern, designer look to any room by incorporating a linear design across the floor. Strands porcelain tiles have an incredible durability with a modern linear twist to brighten any space. 'Green' friendly and available in neutral color options, this collection is sure to add a stunning touch to compliment any decor. Safe for floors, walls, and outdoor applications in residential and commercial areas. Material – Glazed Body Match Porcelain with rectified edging. Size – Available as 12" x 12", 6" x 24", and 12" x 24" tiles. Breaking Strength – >500 lbs. Suggested Patterns – Diamond, Grid, or Staggered Diagonal. Weight – Each 12x12 case weighs ~51 lbs, each 6x24 case weighs ~47 lbs, and each 12x24 case weighs ~73 lbs. 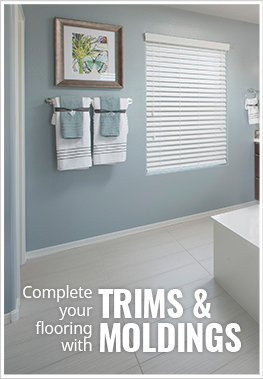 Recommended Uses – Strands porcelain tiles are recommended for bathrooms, master bedrooms, hallways, high traffic areas, office buildings, waiting rooms, restaurants and more. Medium variation from tile to tile. Durable enough for residential and commercial applications.